The following article was written by guest blogger Andy Levy. Andy is the Director of Marketing for Promium LLC, a software company based in Bothell, Washington. Promium’s products include Element LIMS, a widely used Laboratory Information Management System (LIMS) in use at nearly 1/3 of all the environmental labs across the country. If you have sent environmental samples to a lab, odds are 1 in 3 that the data you received in a nice pretty PDF report was produced by their LIMS. Promium is also leading the charge in the replacement of paper CoCs with their product EnviroChain. The paper chain of custody is being replaced with the efficiency, reliability, and accuracy of an online transaction. 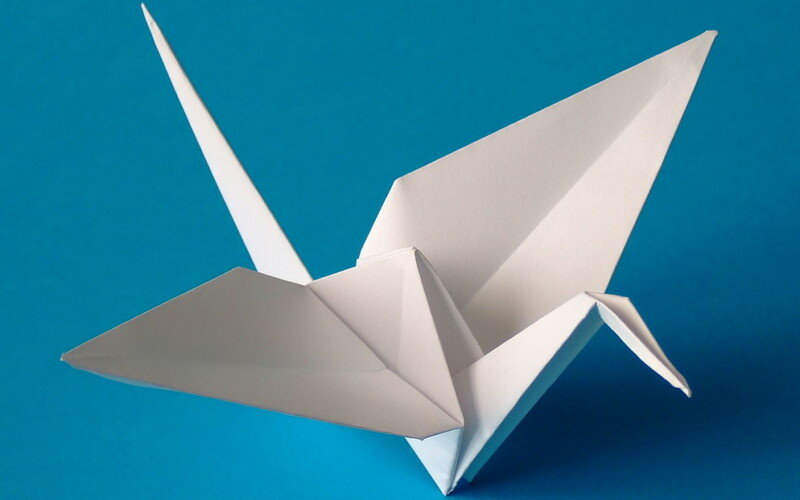 Paper is still wonderful for making paper airplanes or origami animals, but we live in a digital age where smartphones are ubiquitous and “the cloud” provides universal access to information. With EnviroChain, an online chain of custody (CoC) application, Promium is modernizing a data collection and entry process that has otherwise seen little change since the 1970’s. Yea, you heard that right…the ’70s. At the point of sample collection, data is entered into a smartphone or tablet application and uploaded almost instantly right into the information management system at the selected laboratory. In some ways, the online chain of custody application is really a mechanism to extend the laboratory LIMS into the hands of the consultant. So rather than the sample data being entered by the lab’s login personnel, the sample data is entered by the sample generator while in the field collecting the samples. No paper in the cooler? How does the lab know who shipped the samples and what tests to run? Easy. 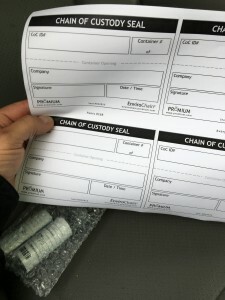 The CoC number is added to a custody seal, which is then affixed to the cooler, and then the cooler is sent to the lab. By the time the samples arrive at the lab, the lab already knows what’s coming. Since the data is already in the lab’s information system, there are no issues with reading a wet and muddy paper chain of custody or trying to decipher a 1 (one) from an I (“eye”). The process is more efficient and far more accurate. And when the cooler arrives at the lab, the sample login personnel know what is supposed to be in the cooler without even opening the cooler. Laboratories that don’t have EnviroChain fully implemented on their end—so data wouldn’t be uploaded into the system—are still able to send a PDF copy of the CoC to the lab and other stakeholders. This means that engineering firms can use EnviroChain for all their data collection regardless of the labs they use. There is no cost for sample generators to use the system. A modest fee is charged to the laboratory for each transaction if data is uploaded. That fee is still far less for the lab than the cost of doing data entry and managing a paper-based system. More and more companies are asking to go paperless. And just like email is replacing snail mail, and online banking is eliminating check writing, over time the online chain of custody will replace the use of paper CoCs. For engineering and consulting firms that are interested in improving their operations now, EnviroChain offers an opportunity to leverage new technology in order to increase efficiency and accuracy. Promium’s own David Riese will be providing a talk at the upcoming EnviroTech Summit this April 11. Come see his talk and demonstration on EnviroChain, and how you can use it to replace your paper airplanes and origami. Get your ticket now.